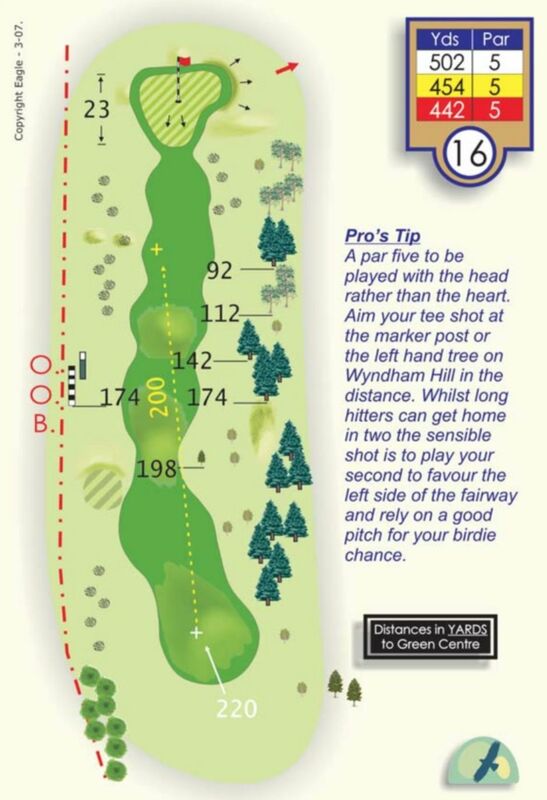 The picture shows what a great tee-shot this is. This is a very tight hole but definitely a two-shotter for the big hitters. When you get down there, the green slopes strongly from back to front making it quite easy to pitch the ball in and stop it quickly.